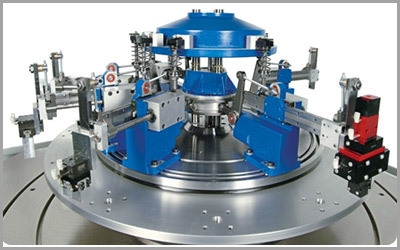 We offer premium quality jigs & Fixtures, which are used in numerous applications in engineering industry and have been engineered & designed as per the ISO Standard. Our Jigs & Fixtures are manufactured by using high grade raw material, to make our range at par with the International quality and efficiency, we adhere with the International standards of the industry. We offer our range in standard dimensions as well as in accordance with the specifications of our customers. 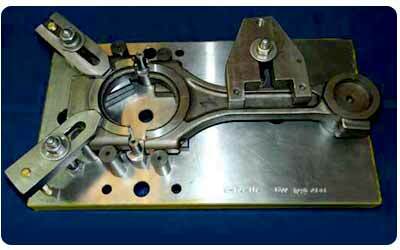 We are a leading Manufacturer of Special Purpose Machine Parts from India. We manufacture a wide range of SPM Parts using the latest technology and meet the demands of various industries. Parts are manufactured as per customer specific requirements. We assure to use best quality raw material to churn out precisely engineered durable and reliable machine parts. We assure to use best quality raw material to churn out precisely engineered durable and reliable machine. Manufactured as per customers specific requirements.